For over 16 years we have been teaching medical coding – with many students successfully passing their first exams after training with us by viewing our videos and learning our techniques. 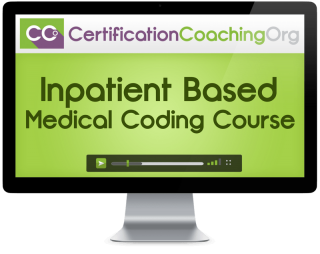 This Inpatient Based Medical Coding course will provide you the training you need to learn HOW to do hospital or facility based medical coding and gives you all the training needed to pass the AAPC CIC™ certification exam. You will be ready to start your new Inpatient Based Medical Coding career. Our goal is to give you all the current information needed to be a successful inpatient medical coder AND pass your inpatient medical coding CIC™ exam test. 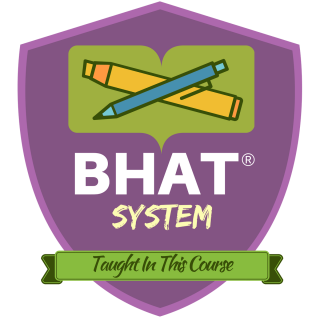 This includes teaching students the correct way to abstract information from the medical record for ICD-10-CM and ICD-10-PCS coding, and specialized payment knowledge in MS-DRGs and Inpatient Prospective Payment Systems (IPPS). This website is not endorsed by, affiliated, authorized, or sponsored by the AAPC. CIC® is a registered trademark of AAPC. Preparation to receive the AAPC’s CIC® credential and qualify for a career as a medical coder in an hospital inpatient or ASC setting. Access to a team of CPC® and CIC® certified coaches to assist and answer your questions as needed. Students are responsible for providing their own Manuals and textbooks. Click here for information about required textbooks. What's the Difference Between the CPC, COC and CIC Credentials? This isn't a short one-time bootcamp or webinar event. This is a full and comprehensive 40-hour equivalent course which dives into the details of medical coding at a hospital or inpatient facility. We normally charge $97 for access to the CIC Review Blitz for exam preparation. When you purchase this course, you'll receive access for free while you're a student of this course. Besides being ICD-10 Ready, our Inpatient CIC™ Course also includes access to ICD-10 Decision Trees that will make it much easier to pick the correct code as an Inpatient Coder. Do you need a quick refresher on Anatomy and Physiology? In case you do, we've included 40+ videos covering tissue, integumentary, nervous system, muscles, respiratory system and more. Note: The FBC Accelerated Course only includes chapters with a Star icon shown above. How Does Our Inpatient Medical Coding Course Compare? 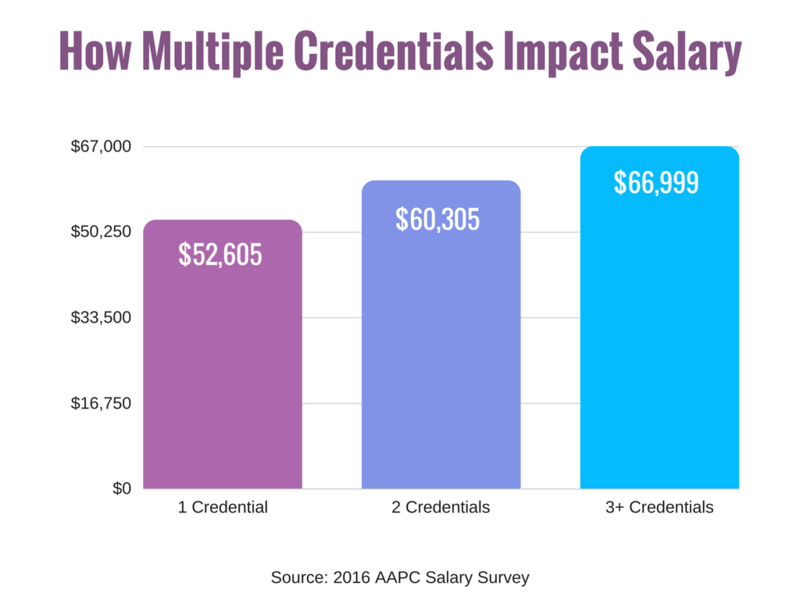 A recent salary survey by the AAPC revealed that the more AAPC credentials you carry, the higher your salary. It's also common for peers to place greater value and trust on individuals with more credentials. In case you're curious, here are the average salaries for medical business professionals with one, two and three credentials. Invest In Your Inpatient Medical Coding Career Today! Is there a textbook included for the Certified Inpatient Coder CIC® Course? No. Students will need to supply their own textbooks and/or manuals. Click here to see the required textbooks. No. You will need to purchase the AAPC exam directly from the AAPC website. We do, however, provide a discount code to lower the cost of your exam in your Welcome Email. We recommend this for certified coders but if you have a solid coding background you would be fine to take this course.